Interwire show in Atlanta went very well. Our expectations were high but the results were even better! Windak showed the new AR24-D Spooler working with Axjo spools. We left with numerous solid leads, some expected but many new and unexpected. 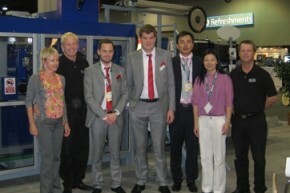 Axjo America, to the wire and cable industry in North America.